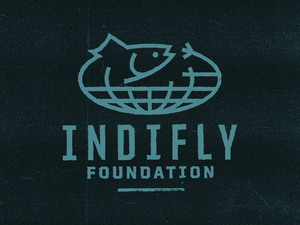 I didn’t go to the IFTD show this year. Hard to break away when the day job is kicking like it is. I made it to one of the shows a few years back and it was a good time. Some other bloggers did go and they posted some write-ups you can check out. Gink and Gasoline had a write up. Written by Johnny Spillane, no less. Hatch Magazine has a write up as well. Sage’s SALT rod won best in show. That’s a rod I haven’t cast, but might like to. Nautilus picked up honors for their reels for both salt and fresh water. The Silver King Black is the saltwater reel. RIO got the nod for top saltwater fly line with a line for Permit. If permit weren’t such jerks, I might be interested in this line. Another year, another lineup of good stuff. Of course, the old stuff wasn’t so bad either. Yesterday, I talked about the Evoke reel I brought to Long Island. 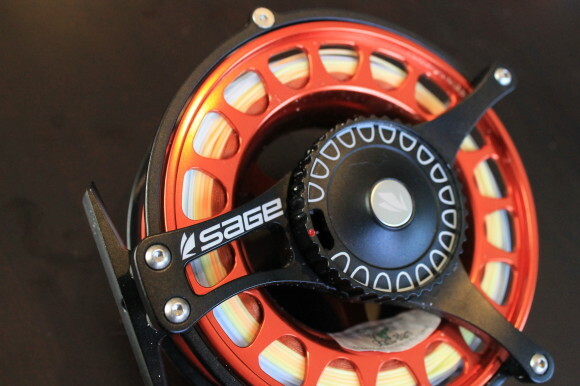 That reel was attached to another loaner, the Sage Motive 11 weight fly rod. The rod… what to say about the rod? There are no real moving pieces. The mechanics are those of the caster, more so than the inner gears of a piece of machinery. The rod is exactly what you’d think it would be. It is a fast action big stick. The 11 weight is not a dainty thing, but it isn’t for dainty fishing. It’s for big fish. Mean fish. Fish who fight like wrecking ball on bath salts. I did more casting than I did fighting fish with this rod and I never found my drugged up beast of destruction (again… found them, but not happy and in the mood). The rod, in my opinion, casts well, but you need to not try and pick up too much line. One of the guides tried to pick up too much line and show off a bit and it didn’t go well. However, if you are patient, take in a bit of line and really load the rod, you can shoot line with this like like a potato launcher. I cast an 11 weight textured line on the 11 weight. Some may argue the need to over line. I didn’t do that. I was happy with the rod. I did get to catch a few jacks and barracuda on the rod and it felt great. It’s nice color blue, which I like, although I doubt the color matters a whole lot when it comes to performance. I good, solid, saltwater rod. The 11 is a rod I would turn to again for a Belize or Keys tarpon hunt. I wish I got to hold on to it for a few years, but alas… it is now back with the good folks at Sage. I got to take the Sage Evoke 10 reel along with me to Long Island and I did so in the hopes of finding one of the few tarpon still there. I found the tarpon. They weren’t interested. I did get to try the reel out on a few fish, however. I found some cuda and trolled up jacks to pull some line. Here are my thoughts on the reel. First… it is massive. I’d take it as a weapon in a fight. 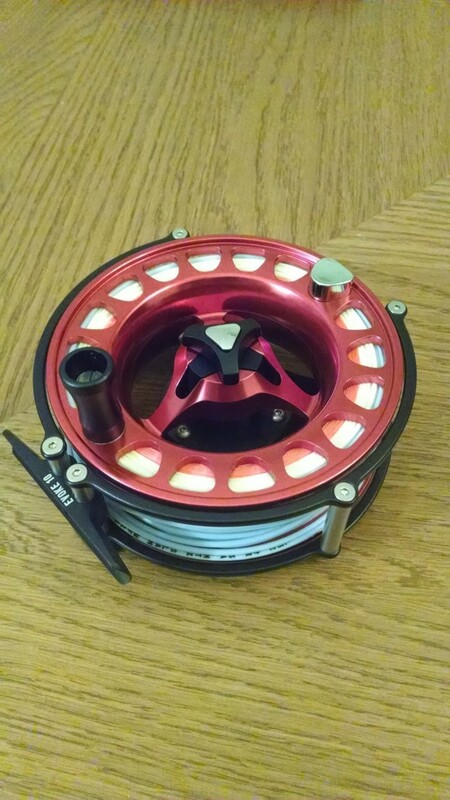 Everything about this reel screams “SOLID!” It is not going to warp on a big fish. You can drop it without denting anything (I’d watch your toes though). It is the opposite direction from the “go lighter” movement. It is not a reel for blind casting 7 hours a day. It is a big game reel and purpose built. You don’t blind cast for big game for hours on end. You hunt the thing, stalk it, track it down and then make your shot. This is the elephant gun (but really, don’t shoot elephants) of reels. The reel itself has a clicking drag so you can be precise about your drag setting. It isn’t going to slip on you. I believe this reel is also not capable of switching from one hand to the other. You buy the one that works for you. Pretty rare for someone to change which hand they reel with. I have zero problems with that. 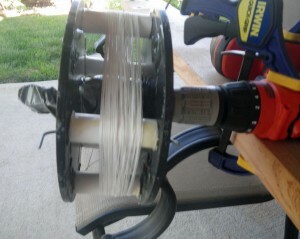 I can say I think it was a beast of a reel, in a good way. I just wish I had convinced one of those tarpon to play. I can say I saw some of the tarpon of Long Island. I cannot say I caught one. There is basically one, deep cut which holds the tarpon. There used to be a lot more of them around, but the last big hurricane cut through some of the canals and the baby tarpon vanished. The deep cut holds what few adults are still found there. They come up and roll and then head back down deep. The bend where they are found is a confusion of currents and boils and deep water. 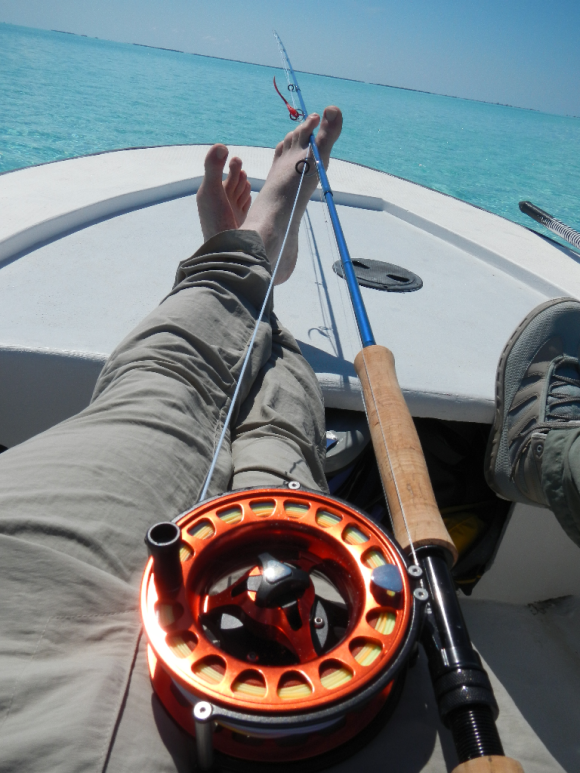 I saw a spinner shark glide beneath the skiff, but I only saw the tarpon roll at a distance of 50′ or more. Dutifully, I pounded out some casts to the general vicinity of the rolls, but the fish were probably 10 feet below the fly and I doubt they ever saw it. I did get to cast the new Sage Motive rod in an 11 weight lent to me just for this trip. The rod cast very well and even the guide was impressed with the line I was able to lay out with this purpose built tool. The rod is fast, as you’d expect. If you’ve cast other big, fast action saltwater rods, you know the experience. I liked the rod and felt comfortable with it. I’m sure it would have handled a big tarpon well. Alas, I’ll have to make that speculation and not report from experience. I never got a boil on the fly. I never saw a 5 foot shape loom up behind the fly. I can’t say I got close to catching one. Still, I enjoy just seeing them. My knees got weak at the sight of them. My pulse sped up, my hands began to shake. I felt fortunate just to have a shot. I did get to fish the Motive a little bit more, casting for sharks, cudas and trolling for jacks. I did get a fish on it, which was a nice bonus. I might not bring an 11 on my next Long Island trip. Instead, I might revert back to my Redington Predator 10 wt., which I had along as well and which dealt with the jacks and cudas just fine, even throwing a big popper into the wind. I sure would have liked to hook into one of those nice Long Island tarpon, but they are so few it might be better just to let them hang out and play with the locals. I have another couple loaners along on the Long Island trip. 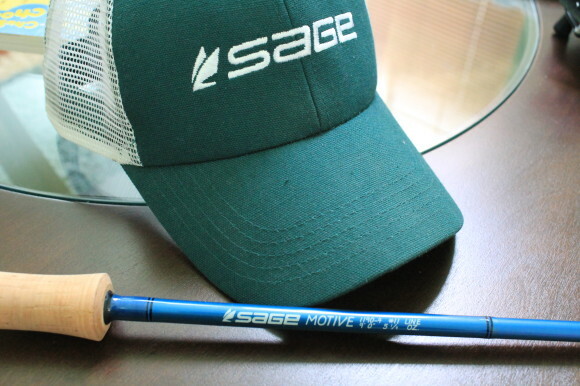 I got my hands on the new Sage Evoke Reel and the new Sage Motive Rod. The rod is an 11 wt., just in case we manage to track down some tarpon in the cuts, as I hope we do. Could be a cuda rod as well. The Evoke Reel is a break with the current fascination with lighter gear. It is built like a tank. I think I could drop this thing from 10,000 feet and keep fishing with it. Everything about this reel screams “SOLID!” Yes… in all caps. I’m really, really hoping this reel gets a work out on the trip. The Rod is the Motive. It is a beautiful blue color, winning some style points right out of the case. I got to cast the 11 wt. at the Fly Fishing Show West in Pleasanton and found it very cannon-like. You need to pound a cast out there, this is certainly poundable. So, two new Sage bits of fantasy equipment to ply Bahamian waters with. Should be fun. Before the Florida trip I was asked if there was anything I could use. One thing that I haven’t had was a boat bag. Soon, a boat bag was delivered to the office and I was pretty much in love from that point on. I did have “a bag” before. Sometimes this was a regular backpack. That would get wet as the boat moved from place to place and anything that wasn’t supposed to get wet… well… would be. It didn’t really do the job. The other bag I had was a simple NRS dry bag. That does better, but it is something I sometimes don’t bring along and it while it does keep things dry, it is also hard (impossible) to organize. Sage… not a company I tend to think of when packs come to mind. I think mostly of the rods… the lovely, lovely rods. 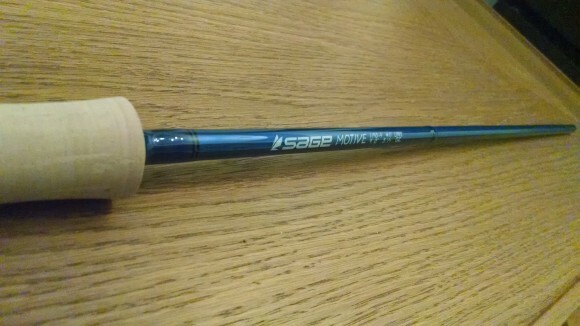 I own two Sage rods (a 5 wt. RPL+ and a 7 wt. RPL) and I know their reputation is well deserved. They make other gear too… I know that intellectually, but I just don’t tend to think of their reels and I routinely forget they make packs, backpacks and even some pretty good looking technical clothing. They also make a sweet boat bag. The bag itself is really more of a box. 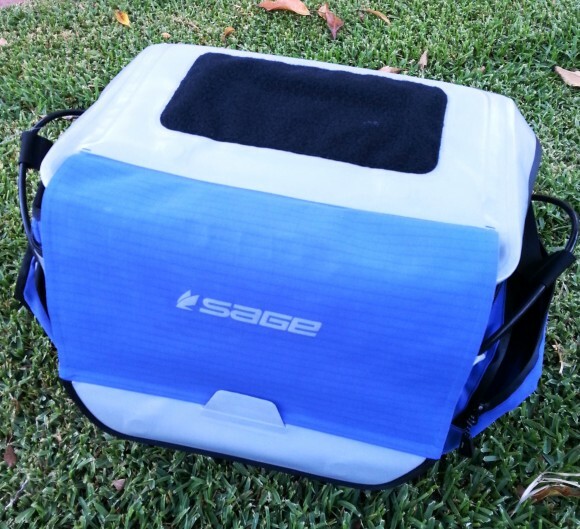 It has semi-hard sides with adjustable compartments inside. It also has pockets on both the top and on the inside of the top flap, both of which are waterproof. The whole thing is waterproof, really. There is even a foam patch in one of the end pockets for those pesky flies. The whole thing shows a high level of thought and dedication. The main reason for having a bag like this, in my mind, is for the guy who is going to be in and out of different boats. It is so easy to prep for the day, organize your gear and be ready to get in the boat as soon as it is in the water or at the dock. 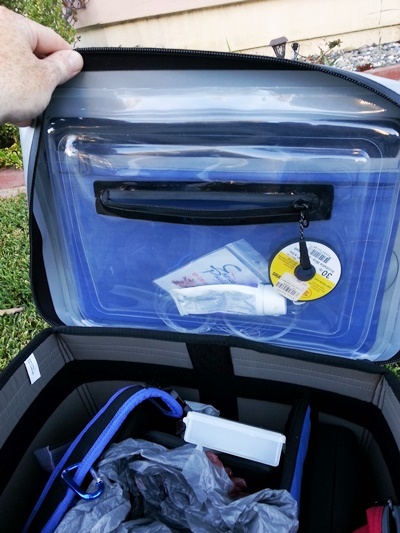 The top of the bag has two compartments, both waterproof, one accessed from the outside, one from the inside. For travel, it was my carry-on. It isn’t something that breaks down to fit in the bottom of your bag. It’s substantial. You’ll either need a really big bag to carry it in, or you’ll need to bring it on the plane with you. 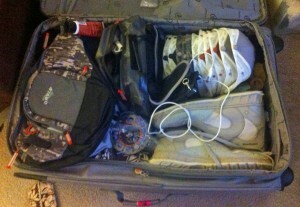 Boat bag as carry on. Bonus… if you do carry it on, you’ll probably get a comment or two from other envious anglers who know that this bit of serious gear is for the serious angler. At $300, it isn’t something you will likely buy on a lark. It’s an intentional decision and probably one that will help you make the most out of your week on the water somewhere awesome. Me: Hey, you guys seem to have some great reels. Them: Gee, thanks. We feel our reels are pretty awesome. Did you see us attach one to a motorcycle? Me: (cough) Yeah, that was, um, great. Hey, I am running some reel tests simulating normal wear and tear so someone going to Christmas Island can know they can trust your gear. Them: Testing… um… so, like, what did you have in mind? Me: Well, I want to attach one to a high speed drill, a bunch of times, like… a whole bunch of times. Then, I want to drop it in sand and put it back on the drill and then drop it in saltwater and put it back on the drill and basically see if the thing breaks. So, what do you say? Them: HOLD ON Captain Crazypants. No effing way. Who the hell are you, anyway? Ya know, we test these things ourselves and we don’t want you breaking our stuff and then writing bad stuff about us. Didn’t you see the Tesla review thing? We don’t want to go there buddy. How about we pretend you didn’t mention this. Mkay? Me: Uh… bummer man… bummer. Yeah, that’s more or less how most of my Reel Testing efforts went. I had a hard time getting a hold of the gear I needed to actually test. Here’s the thing though… I wasn’t the only guy thinking about this. The folks at Trident Fly Fishing (this is the link with all their results) put together some tests… with like, science and stuff. I’m a fan of what these guys pulled off. They even forked out some of their own cash to test some of these reels. The surprises for me came in the form of two reels… first, that Cheeky did so well, tying for 4th… they are new kids on the block, so it is great to see them place so highly alongside established players. Another reel that tied for 4th was the Sage 1880. The 1880 is a $140 reel. That is some good pricing. The overall winner was the Hatch 7 Plus, and that is not a real shocker. Those that have fished with that reel seem to have found Hatch religion. I would have liked to have seen some Nautilus reels in there and Galvan too… but this is a pretty solid set of reels. Well done Trident… well done. From my ill fated reel testing. The last piece of gear I needed came today… a 10 wt. Sage Response loaner. I’ve put on the Lamson Lightspeed and a clear int. 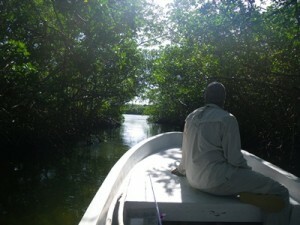 sink and I have in mind mangrove channels and baby tarpon. I close my eyes and see a 25 pound “baby” emerging from the leafy darkness, frantic casting, the fly landing close, the fish seeing it, charging, opening it’s dumptruck mouth and inhaling the fly, quickly turning away, and then the chaos. Holding the line tight to keep the fish from running into the mangroves and ruining all hope, the fish will leap, high and repeatedly, putting holes into the still water with every jump and crash. The fish will be subdued, maybe not the first, but I’m hoping the 4th or 5th shot might stick. I’m predicting some shrieks from the newly minted Mrs., and I’m expecting awe and if it comes together, I’ll have it, because it is that kind of experience, it inspires and commands awe. That’s what I have in my mind. That’s what I want to not only experience, but share.